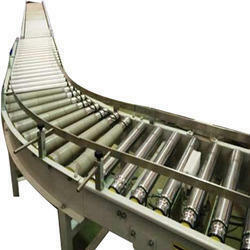 Pioneers in the industry, we offer flexible roller conveyor, powered roller conveyor, bend roller conveyor and gravity roller conveyor from India. 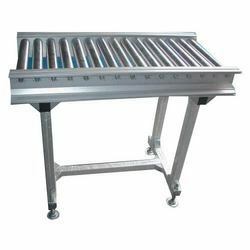 We are engaged in offering Gravity Roller Conveyor for safe and virtually maintenance-free handling of goods for diverse application requirements. 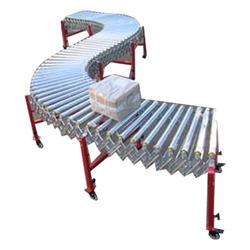 Renowned for rigid construction and apt conveying ability, these conveyors finds wide application in warehousing, production lines, accumulation at start or end of powered conveyors manual assembly lines. 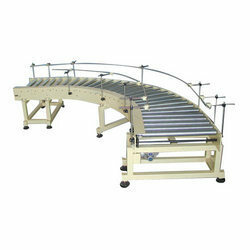 To meet client requirement we also offer 90-degree bend gravity roller conveyor.